“Kelly Osbourne has done everything from television to music to radio to fashion,” said Hollywood problem solver, Judith Traherne. “But and she stinks at everything. 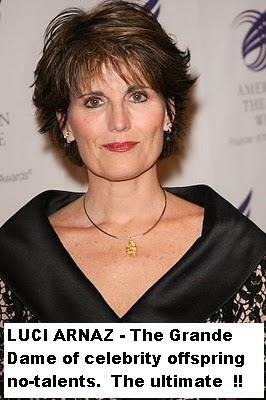 We even gave her a little nip and a tuck here and there and all we come up with is a frumpy no-talent who looks like she has had a make-over at the Clinique counter in Macy’s — kind of like a younger Susuan Boyle, but without the inner beauty and singing voice. “As for the brother Jack, well you can’t put lipstick on a pig, ” continued Traherne. “He’s just a horror show. He has tried any angle to get famous short of sending himself up in a loose balloon. He thought he was a heavy metal singer and then he tried to be an adrenaline junkie but the whole foray was just junky. We here at TheDamienZone blame the mother’s (Sharon) genes for the extreme lack of talent or charm that has been inherited by these two ghastly creatures. Sharon is just a nobody who became a somebody because of Ozzie. In reality, she is just a less sickening version of Yoko Ono — but not by much. She is kind of plucky and fun in a local, community theater kind of way, but she does not belong on national television. Some people like her, and our answer to that is that Americans eventually learn to like everything put before them because they are bored to death. We believe that Sharon Osbourne’s ordinary likeableness was not enough to overcome the genetic fact that her kids are unbearably untalented and uninteresting. 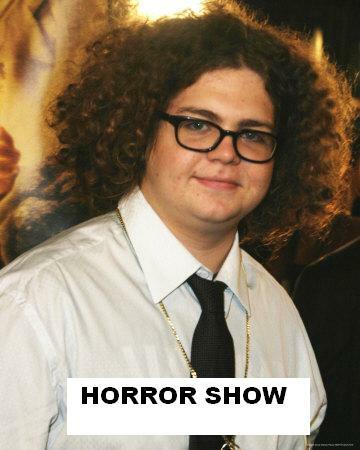 Jack Osbourne is indeed a talent and visual horror — and that’s okay. He has tried, but if he is still trying, he better forget it. The sister Kelly is “out there” too much and has become what the press calls “a media celebrity” which is another way of saying that she is famous for being famous and has no talent otherwise. 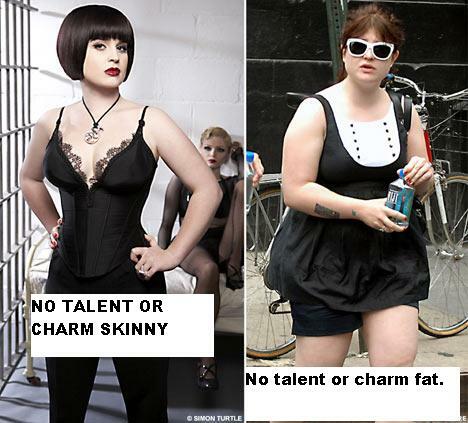 Her band got a lot of media attention via dad but it fell flat on it’s face because SHE HAS NO TALENT OR ALLURE!!!!!!! Hollywood first started to realize that talent does not continue with their children. Aside from Lon Cheney Jr and Alan Hale Jr., it was all downhill — and those two were just pale imitations of their fathers. We here at the TheDamienZone place the biggest blame on Liza Minelli, Jamie Lee Curtis, Carrie Fisher — the list goes on and on but ends with the pinnacle of no talent — LUCI ARNAZ jr. So before the Osbournes start yelling at TheDamienZone.com, they should go to Luci Arnaz’s house and blame her. She is the queen of the untalented celebrity children. Liza has more fame because her mother’s talents were enough to cover up for a century of wanna-be celebrity descendants, but Luci is the worst. She even keeps moving her mother’s ashes around so that people don’t forget her, and when we say “her” we don’t mean Lucille Ball, we mean Luci Arnaz. Ya know, Kelly Osbourne is kind of a 1960’s version of Luci Arnaz, but Luci was tall and had a nice figure — Kelly is a dump and her brother is a total horror. Sarah Palin lashes out at LOGO's "The A-List New York" UPDATED VERSION!!!! Cartoon Sarah Palin hates Joy Behar.